me within a half-hour of the podcast’s going live. Masterworks Broadway. See how well you do, and if you care to e-mail me the answers you know (or THINK you know), I’m at [email protected]. the show and the holiday? NANETTE all have in common? 4—What do these Tony-winning musicals have in common? 5—There’s a musical in which a woman played an editor. and PAL JOEY have in common? name of the musical and song? its eventual name and the song title? Broadway play used a little of that song. What was it? hundreds of words. Who is he and what are the shows? foreign title, the English translation and the title of the song? the title song and name of the Broadway musical and film? different years, yes, but they had the same birthday. musical. What’s the name of the song and both shows? 18–What do these characters in musicals have in common? known as “Guys and Dolls.” Which one was it? ACRES also appeared in the film version of 1776? what character makes the observation? ROLL ALONG) and “Do It Alone” (PARADE). names of the two musicals and the six characters? musical that got a Tony for one of its leading performers? about his age the least? Musical Tony) became a children’s picture book? to tune in at all. 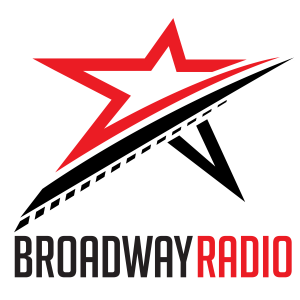 year on the Internet via www.broadwayradio.com .